Kai Tak with sizeable developable area and availability of SCL is identified by the Hong Kong 2030 Study as having the greatest potential to be developed as the Secondary Premier Office Node to meet the long-term demand of quality office space. Together with a mix of retail and hotel provisions, the office node will form a belt of commercial development around the future Kai Tak Station and above the SCL depot. It will be well connected with the existing Kowloon City and San Po Kong through underground shopping street, landscaped decks and retail footbridge, bringing to the old districts new momentum of re-vitalization. A distinctive cluster of landmark buildings along Prince Edward Road East is signature of new Kai Tak for travellers along the major thoroughfare of Boundary Street. From the Harbour, the ridgeline of the Lion Rock sets a majestic backdrop. Environmentally, the commercial belt forms a noise screen for the traffic noise. At a more local scale, retail frontage along the northern boundary of the SCL depot and around the Station Square will help liven up the monotonous outlook of the depot and maintain street vibrancy. At the middle of Kai Tak City Centre is a large park above Kai Tak Station. Surrounded by a dynamic environment of diverse buildings, this contemporary park with cafes and restaurants serves as a gateway to Kai Tak, the Metro Park, and Stadium Plaza. It is a focal point for the community. An establishment of a residential neighbourhood around the Kai Tak Station is a clear preference of the community. To answer the call of the public for smaller development sites, podium free, better ventilation and more harmonious urban fabric with the hinterland, the Kai Tak grid residential neighbourhood is proposed. Breezeways capturing the Southeast prevailing winds form the backbone of the grid. 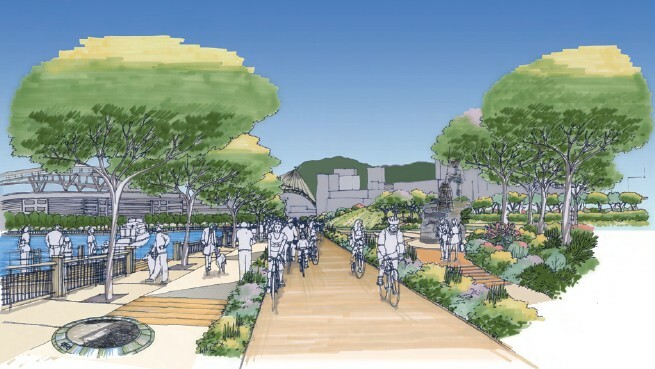 With a width of 10m, they are planned to be mainly pedestrian streets lined with street trees and neighbourhood street furniture, providing public local open spaces for the residents. Unlike typical Hong Kong developments where gated communities of residential towers render large areas of land inaccessible to the general public, this residential community seeks to challenge that traditional model. Inspired by communities from the United States, Europe, and Australia, and adapted to the Hong Kong culture and living habits, this will be perhaps one of the most unique residenial areas in Hong Kong. Intimately scaled urban street blocks similar to those found in surrounding neighbourhoods are lined with 3-storey townhouses and tree-lined streets. With little or no commercial activities on the ground floor, the vibrancy of the streets will come from the semi-public nature of the streets and the residents themselves. Podium free residential towers spread throughout these blocks will add housing options for this vibrant community as well as provide great views out to the harbour and mountains beyond. Basement car parks are only accessed from the main local road. This will bring a unique form of residential development to Hong Kong, inspiring more creativity in the property development sector. 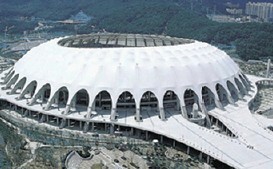 The development of a stadium complex in Kai Tak will help realise our sports policy. With great support from the sports community and the local community including district councils, a multi-purpose sports stadium complex will be the anchor of Kai Tak Development. There will be a modern 45,000-seat main stadium for hosting international sports competitions, major local sports events and staging major entertainment performances. A secondary stadium with a seating capacity of 5,000 will provide warm up facilities for sportsmen of major competitions, and for the hosting of community sports activities and provide a venue for training purposes. 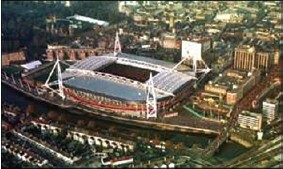 It will be connected to the main stadium by subways and an elevated walkway. An indoor sports arena which would also have 4,000 seats in the main hall, would provide venues for a variety of sports activities, such as, swimming, basketball, volleyball, handball, gymnastics and many different types of indoor sports. 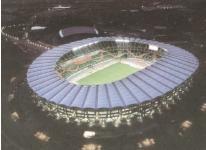 Some ancillary facilities would be provided for catering, sport-related retailing, and a number of leisure and sports activities, such as ice-skating, ten-pin bowling and snooker to support the operation of the Stadium Complex. These facilities would be provided to cater for the needs of public for sports and leisure pursuits which would enhance the vibrancy of the sports hub. 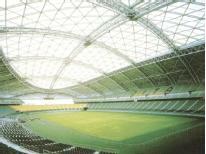 The prominently positioned Main Stadium will be the new icon of South East Kowloon. Not only will it be visible from the harbour, it will also provide great views from the spectator stands of the Main Stadium. 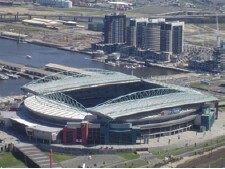 Much like other urban stadiums on the waterfront such as Three Rivers Stadium in Pittsburgh, and Camden Yards in Baltimore, USA, Telstra Dome in Melbourne, Australia and Millennium Stadium in Cardiff, UK, the events at Stadium Complex in Kai Tak will be a significant catalyst to re-activate and re-energize a once abandoned waterfront. Adequate space is allowed for safe dispersal of spectators towards the Station Square onto the Kai Tak Station. It is also well connected with the dining cove around Kowloon Bay area, which is the meeting point of the promenades along To Kwa Wan and the Metro Park on the runway. A grade separated landscaped walkway will link the higher spectator level of the stadium across two roads offering pedestrians safe and comfortable links to the Station Square and Metro Park. Another elevated landscaped deck will link up the sports hub with the commercial belt and further to Kowloon City. Metro Park at the runway respects the public's aspiration for a genuine harbour park, keeping a collective memory of the runway. The northern section of the re-vitalized KTAC forms part of the park, showcasing sustainable development in Hong Kong and providing an amenity feature, upon improvement of the existing water quality. The Metro Park will be connected with a long promenade around the runway, and along the south apron area. In future, after the de-commission of the naphtha berthing facilities and the public cargo working areas, the promenades can be extended into the waterfront of To Kwa Wan and Kwun Tong/Cha Kwo Ling. Extensive cycle track and jogging trail will go through the promenades and the Metro Park will provide leisure and competition opportunities to the community. While it is the desire of the public to enjoy the runway space as much as possible, there should be a combination of land uses to ensure adequate attractions and patronage. The Metro Park at the northern part of the runway and the cruise terminal/the tourism node towards the end of the runway certainly are magnets. But the runway is 2.5km long. A runway precinct with mixed residential/retail/cultural uses in the middle section is planned to sustain the interest of exploration. The concept of "Living on the Runway" is a concept as unique as Hong Kong itself. With water on two sides, and adjacent to the Metro Park, the Runway community enjoys spectacular views at an unique location. 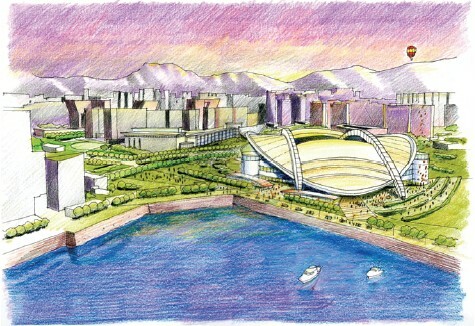 The public access to the waterfront will be guaranteed by an at-grade waterfront promenade with breath-taking view of Victoria Harbour, the ridgelines and the developments on Hong Kong Island, and by an elevated promenade on the side of the KTAC, which also effectively screens off traffic noise from the distributor road. Connecting these two promenades will be public walkways through the precinct. A 30m wide at-grade pedestrian boulevard with shops on both sides linking up the Metro Park and the tourism node on either side. 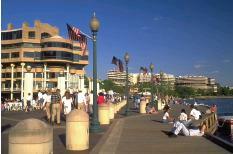 The public can enjoy leisure shopping and dining experience as well as street cultural exhibitions and performances. 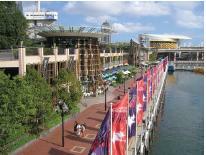 There will also be a low-rise commercial/cultural node on the bay side of the precinct. Low density and medium rise housing will be developed above 1-storey carports and will enjoy their own private gardens and beautiful harbour view. Residents will help support business on ordinary days. The tourism industry has longed for a world class cruise terminal for many years and Kai Tak is the only place with expansion potential for the long-term demand. 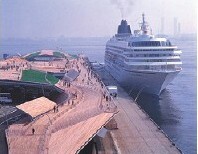 The planned cruise terminal with necessary site formation works can berth two mega cruise ships and accommodate the essential cruise operation and facilities on site without reclamation. At the south-western tip of the runway abutting the end of the cruise terminal, an at-grade cross-boundary heliport site is reserved to serve cross-boundary travellers in synergy with the customs and excise, immigration and quarantine (CIQ) facilities provided for the cruises. Adjacent to the cruise terminal will be the tourism node housing a great variety of retail and entertainment facilities together with hotels with harbour view. The tourism node will provide suitable pedestrian access to and landscaping measures to blend in with the Runway Park. A runway park will be the dominant use at the end of the runway with aviation and other themes. The site will provide the opportunity for reprovision of the ex-air traffic control tower. Exhibition venue for aviation-related exhibits and outdoor display of old aircrafts and other memorable objects of the airport are all suitable elements at the runway park, such as to install the weather station of the old Kai Tak airport in providing crucial weather information for operating the Tropical Cyclone Warning System for Hong Kong. The public can share the magnificent view once enjoyed by the pilots during take-offs towards Lei Yue Mun. Kai Tak, To Kwa Wan and Kowloon City have rich cultural heritage. The 'Fish Tail Rock', the artist village and the Inscription Rock in To Kwa Wan; the Kowloon Walled City Park, the variety of cuisines and the Nga Tsin Wai Tsuen in Wong Tai Sin; and the aviation club buildings and airplane hanger, the wind pole, the fire-station, the replica of ex-air traffic control tower and the runway in Kai Tak are all valuable assets of the Hong Kong community. 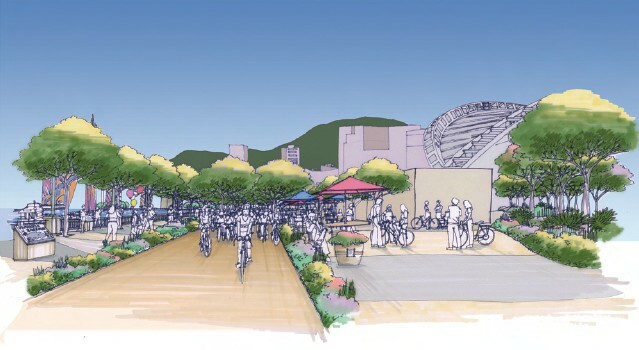 Selected links of the pedestrian network will be packaged and enhanced as the Heritage Trail of Kai Tak for both local and overseas visitors. The trail will go through parks and shopping streets, giving multiple dimensions to the experience of the visitors.